Crazy declicious saffron, cardamom and lemon lassi in Udaipur. So rich. 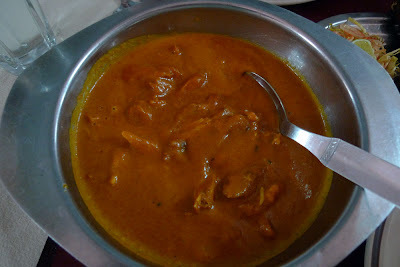 Somewhat underwhelming butter chicken at the supposed "Mecca" of butter chicken, Moti Mahal in Delhi. 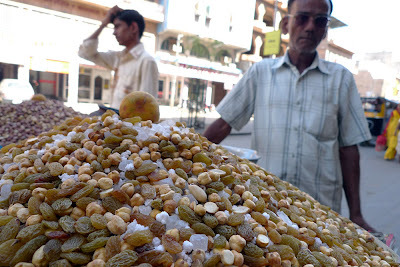 Really good trail-mix snack in Udaipur- peanuts, golden raisins, sugar, salt. 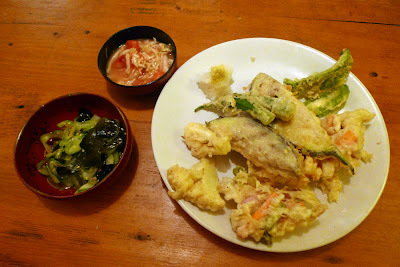 Good authentic Japanese vegetarian in Dharamshala. I hope you are learning to cook all these things. 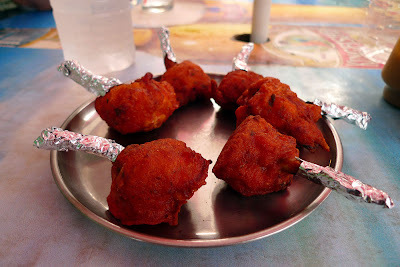 I would like to sit on the dock of Orchard with a saffron, cardamom, and lemon lassi. yes please - I am terrified I am going to miss the Indian cooking events while I am away, and you won't want to do it again in September.